Stop estimating post hoc power! » I'm getting surprising results always that I'm taking sample size with 80% power and by coming to the results always 98 Power it is reaching....How it is possible always? If the irrelevant post hoc power is always 98%, I suspect a flaw in the software (or SAS macro). If it is always higher than the one used in sample size estimation it may be a miscalculation – ineradicably “popular” in Indian CROs (see this post). Revise your procedures. » I mean to say always it is coming in the interval 95 to 99 and some times 100 ofcourse one time only, some times we are getting less power on 80s but very less times. estimated sample size = 26 (power = 0.9176). names(res) <- "post hoc power"
ylab <- "relative frequency density"
Especially the histogram is telling. As ElMaestro suggested: Can you give us one example? We need the CV, the GMR, the number of eligible subjects, and your “power”. If the study was imbalanced, please give the number of subjects in each sequence. Is it worth to calculate sample size at power of 95%? what about regulatory queries on "unintentional forced Bioequivalence"
Sure. But once explanations (better: assumptions) were accepted (i.e., the protocol approved) that’s the end of the story. That’s why I’m extremely wary of using the term “forced bioequivalence” in a regulatory context (see also this post and followings). I suggest to reserve this term to the context of study planning. To quote ElMaestro: Being lucky is not a crime. Let’s reverse the question. Would you mistrust a study which demonstrated BE despite its low post hoc power? I hope not. We endured this game for ages and it went where it belongs to: The statistical trash bin. » Although the study was performed with 28 subjects for ~81% power, the chance to get a post hoc power of ≥ 90% is ~23% and ≥ 95% is ~10%. That’s clearly not “forced BE” and none of these studies should be questioned by regulators. You are considering the power after the study at n = 28 (which were calculated before the study: GMR=0.95, CV=0.25, β=0.80). The question is whether it is possible to carry out a study at n = 50 and will this be forced bioequivalence? » You are considering the power after the study at n = 28 (which were calculated before the study: GMR=0.95, CV=0.25, β=0.80). The question is whether it is possible to carry out a study at n = 50 and will this be forced bioequivalence? As I wrote above the IEC and the authority should judge this before the study is done. I agree that in many cases the statistical knowledge of IECs is limited. However, once the protocol was approved by both, I don’t see a reason to talk about “forced BE” any more. Considering your example and assuming that the GMR and CV turn out exactly as assumed, no dropouts (n=50): The 90% CI will be 87.47–103.18%. Fine with me. Not even a significant difference (100% included). If the drop­out-rate is as expected (n=38) the 90% CI will be 86.36–104.51%. If the assessor is not happy with that, he should have a chat with his colleague who approved the protocol and enlighten him about potential “over-powering” in study planing. According to all guidelines (CI within the acceptance range) I can’t imagine a justification to reject the study. If the study is not accepted only due to the high sample size in the EEA the applicant might go for a referral (with extremely high chances of success) and in the USA the FDA will be sued right away. » what about regulatory queries on "unintentional forced Bioequivalence"
What do you mean by unintentional? 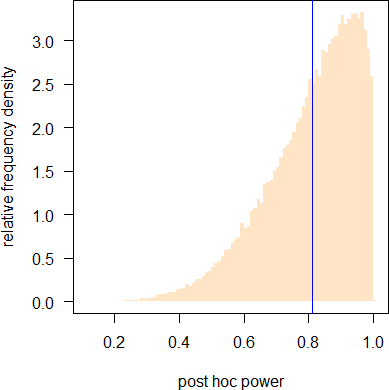 Going back to my example (study planned for 90% power): The chance to obtain a post hoc power of ≥95% is ~35%. Now what? you had less dropouts than assumed. However, the patient’s risk (α = probability of the Type I Error) is independent from the producer’s risk (β = probability of the Type II Error). The latter might be of concern for the IEC in study planning (see Yura’s example) whereas only the former is of regulatory concern – and not affected by power. I still think that you calculations are wrong. Therefore, you are facing high values more often. Would you mind giving us the data ElMaestro and I asked for? If the CV, GMR, number of dropouts are “worse” than assumed, there is still a chance to show BE – though with less than the desired power. If you succeeded, fine. If post hoc power is correctly (!) estimated, it will be always low for a failed study. Much pleasure with your reply. » study planned for 90% power: The chance to obtain a post hoc power of ≥95% is ~35%. Is it a thumb rule? how it should be calculated? » – you had less dropouts than assumed. Would you be so kind answering our questions? » For the 5th time (already asked #1, #2, #3, #4): An example would help. » We tried to answer your questions. It would be nice if you answer ours as well. These are the results i'm finding maximum times. BE Limits are as usual for 80 to 125. I think the answer to the first question of this post is "because you were very pessimistic on your assumptions regarding sample size" which is something very common in BABE trials (at least, this is my perception). 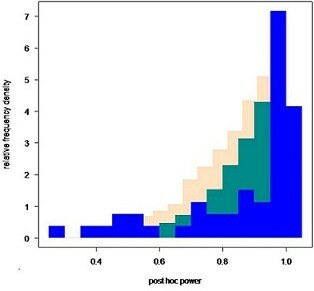 In this case, given your simulations above and the expected probability of approximately 12% of the studies having power greater then 95% having in consideration the initial assumptions, post hoc power means nothing. But if you had 100 studies instead and 90% of the had >95% power although the sample size was calculated assuming expected power of 80%, some questions and conclusions might be drawn from those results, don't you think? From my understanding of the initial question, this was the case found. So I think that they should start by reviewing how they define their assumptions for the sample size, namely why they assume GMR=1.10 instead of the "normal" 0.95/1.05. » I think the answer to the first question of this post is "because you were very pessimistic on your assumptions regarding sample size" which is something very common in BABE trials (at least, this is my perception). Ha-ha! I got too many failed studies on my desk and my clients think that I’m Jesus and can reanimate a corpse… In most cases they were overly optimistic in designing their studies. » … having in consideration the initial assumptions, post hoc power means nothing. » But if you had 100 studies instead and 90% of the had >95% power although the sample size was calculated assuming expected power of 80%, some questions and conclusions might be drawn from those results, don't you think? » From my understanding of the initial question, this was the case found. So I think that they should start by reviewing how they define their assumptions for the sample size, namely why they assume GMR=1.10 instead of the "normal" 0.95/1.05. Taking into account that the analytical method used for measuring the content of test- and reference-batches has limited accuracy/precision (2.5% is excellent!) and is never validated for the reference product (you can ask the innovator for a CoA but never ever will get it) 0.95 might be “normal” but IMHO, optimistic even if you measure a content of 100% for both T and R. Given that power is most sensitive to the GMR, I question the usefulness of 0.95. 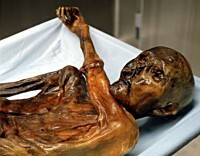 OK, I make money acting as a coroner. Wasn’t really successful in the reanimation-attempts. "Normal" is a question one could debate for hours, probably ending in a flame war . For me 0.95 or 1/0.95 is as "normal" like setting alpha = 0.05. It's a convention to be used if nothing specific about the GMR is known. Nothing more. And it seemed mostly to work over the years I have observed the use of this setting. Of course it is not a natural constant. Clinically relevant difference (aka GMR in bioequivalence studies): That which is used to justify the sample size but will be claimed to have been used to find it. » ... but IMHO, optimistic even if you measure a content of 100% for both T and R. Given that power is most sensitive to the GMR I question the usefulness of 0.95. Let me play the devil’s advocate. Let's say you have to register some new generic pharmaceutical product and you have the data of pilot study which says that GMR is about 115% with CV about 20% (n=20). The ISCV data is mainly in accordance with literature sources (18-26%). Again, a man in Harmani suite as your Boss says it MUST be registered and you have only current product to test. So you are interested to register the drug (to show the bioeqivalence). What would be your recommendation for sample size? How would you estimate it? » Let me play the devil’s advocate. » Again, a man in Harmani suite as your Boss says it MUST be registered and you have only current product to test. So you are interested to register the drug (to show the bioeqivalence). » What would be your recommendation for sample size? How would you estimate it? … and tell Hugo Boss that with 304 subjects there will still be a 20% risk of failure. If he wants a risk of 10% >107 subjects would be required. Since re-formulation seems not to be an option (what I strongly would recommend; see below why) you will be fired. Seriously: First I would check a CI of the CV observed in the pilot. I would use an α of 0.2. If we accept a minimum power of 80% the GMR could rise to 1.165 and with 85% to 1.158. That’s not nice. It must be clear even to the guy in the Armani suit that performing the study though in a high sample size will be extremely risky due to the bad GMR. I’m not sure whether the protocol with such a large expected deviation will be welcomed. I know of only one case where an innovator had to change one of the excipients upon the FDA’s demand. A couple of pilots with candidate formulations performed – wasn’t possible to come up with anything better than 0.85. OK, was a blockbuster and at least they tried hard. » "Normal" is a question one could debate for hours, probably ending in a flame war . » For me 0.95 or 1/0.95 is as "normal" like setting alpha = 0.05. Not for me. The former is an assumption whereas the latter fixed by the authority. » It's a convention to be used if nothing specific about the GMR is known. Nothing more. » And it seemed mostly to work over the years I have observed the use of this setting. » Of course it is not a natural constant. » » ... but IMHO, optimistic even if you measure a content of 100% for both T and R. Given that power is most sensitive to the GMR I question the usefulness of 0.95. Communication with the analytical staff & common sense. The GL tells us that the T- and R-batches should not differ more than 5% in their contents. I’m too lazy to browse through my protocols but IIRC, on the average it was 2–3%. Now add the analytical (in)accuracy and – conservatively assuming that the error may be on opposite sides – you easily end up with a GMR worse than 0.95. Measuring content is not always trivial. Some MR-products are difficult and most topical products a nightmare. Extracting a lipophilic drug from a cream full of emul­sifiers is great fun a mess. If I have to deal with a simple IR-product, the analytical method is very good, and the difference small I’m fine with 0.95 as well. In general I prefer conservative assumption(s) over optimistic ones. With the former (if they were false) you may have burned money but have a study which passed. With the latter sometimes you have to perform yet another study. Not economic on the long run. » In this case, given your simulations above and the expected probability of approximately 12% of the studies having power greater then 95% having in consideration the initial assumptions, post hoc power means nothing. But not only in this case, also in other cases. The concept of post-hoc power is flawed by its own. » But if you had 100 studies instead and 90% of the had >95% power although the sample size was calculated assuming expected power of 80%, some questions and conclusions might be drawn from those results, don't you think? From my understanding of the initial question, this was the case found. So I think that they should start by reviewing how they define their assumptions for the sample size, namely why they assume GMR=1.10 instead of the "normal" 0.95/1.05. » In this case, why they assume GMR=1.10 instead of the "normal" 0.95/1.05. I was interested how it works on real data. For this purpose I've calculated the power for ~50 real 2x2 successful studies. Of course sample size is too low to make any conclusions but the tendency is pretty similar. The results are below. Please correct me if my reasoning is wrong. The GMR of Cmax follows the log­normal distribution (p=0.123, Shapiro-Wilk W test), Geometric Mean PE was 0.9824, and including plus-minus SD for log-tranformed data leads to 0.935-1.032. So assuming 94-95% in sample size calculation seems to be good at reflecting the expected ratio. That is in 26.42% successful studies post hoc power was less than 80%. Why not in 50%? I suppose it is connected with two facts: the real number of subjects is always greater than calculated because researches include drop-outs and there exists the restricted limit of minimum of subjects in the study. I've reproduced the calculation performed by Helmut for CV=18.5%, GMR=98.24% and 10% and 20%-drop-out rates. Blue histogram is for real data (nbins=15). The higher rate for power close to 1 in real data should be connected with the redundant number of subjects in studies with low CV (for CV lower than 22% and GMR=0.95 the power would be greater than 80% when the involved number of subjects is more than 24). One needs "s" on the end of "package(s)"? Anticipating the question "but why"? First, the R, Detlew's and Helmut's code possibilities are really impressive! And second: to make sure again that a posteriori power is needless thing and it is waste of paper to include it in the report. -Why are you teaching your sister bad words? -I want her to know them and never repeat. Interesting thread (as far as Google-translate took me). IIRC, some posters were not sure whether to use an assumed T/R-ratio of 0.95 or 1.05. Have a look at this post and that one. In short, if you assume a 5% difference but are not (very!) sure about the direction of the deviation (lower or higher than 100%), a study powered for 0.95 will always be sufficiently powered for 1.05 as well but not the other way ’round. somehow I missed your post. Sorry. » I was interested how it works on real data. […] That is in 26.42% successful studies post hoc power was less than 80%. Why not in 50%? I suppose it is connected with two facts: the real number of subjects is always greater than calculated because researches include drop-outs and there exists the restricted limit of minimum of subjects in the study. » One needs "s" on the end of "package(s)"? Yes. That’s how the function of library utils is called. Also packages[!inst] not package[!inst]. Corrected in the OP. THX, wrong! Corrected in the OP. » somehow I missed your post. Sorry. IMHO Russia is suffering from lack of reliable information and good russian-language statistical resources. Hope Oleg is trying to improve this situation. To this time all the roads lead to BEBAC forum - almost every answer on any question begins with a phrase like "See Helmut's post #..."
Если вспомнить школьную математику, формулу ln(x^k)=klnx, тогда становится понятно почему ln(0.9) = –ln(1/0.9) = –1*ln(0.9^(–1)) = 0.10536. Аналогично, ln(0.9500) = –ln(1.052632). Очевидно, что 1.0526 больше чем 1.05. BTW, isn’t my name better transliterated with Хельмут Шютц than with Гельмут Шутц? As I see you are learning russian faster than our regulators do english Du hast unglaubliche Fähigkeiten! And logarithms are studing at school (actually I teach children a profound course of math). As for your name, please, don't care. Russian transcription is awfull. We say Юнг instead of Young, Броун instead of Brown... And there is an another school rule to write "Жу" and "Шу" with the letter "У" instead of "Ю", excepting three words ("жюри", "брошюра", "парашют"). I remember your story about "What a strange name - "Helmut". May be the topicstarter is preparing the reports for Eurasian Economic Union? It took effect this year. Colleagues will have a lot of fun IMHO. Eurasian Economic Commission – Setting up of Common Market of Pharmaceutical Products link is dead on Guideline page. Didn't find the alternative. May be Yura or Beholder or BE-proff or someone else can help. » PS:Eurasian Economic Commission – Setting up of Common Market of Pharmaceutical Products link is dead on Guideline page. Didn't find the alternative. » ...May be Yura or Beholder or BE-proff or someone else can help. Let me try. If you meant this link than it is still alive and allows to open Decisions. Also one can use ConsultantPlus in order to find EEU Decisions but after 20.00 (Moscow time) only. Nevertheless our neighbours from Belarus have all Decisions uploaded to Expertise Center site. today I was flipping a coin two times and recording the number of times I got tails. I defined success as any outcome associated with two tails. I got two tails and the experiment was a success. What was the power, given the outcome? At this point it is clearly experimentally proven that the coin only shows tails, so power was obviously 100%. Some of you may insist that I was just "lucky", whatever the hell that means. To this backward perception I must clearly refer to the truth illustrated by the numbers: This was not luck, it was meant to happen by way of the nature of the coin. Numbers don't lie. Humans do. Don't believe all the rubbish from the usual subjects in this thread, like Chewbacca and The Berlin Chimney. They are clearly not so well connected with real life as I am. It is incredible what some people can get away with nowadays.